A three year old on the beach. There’s nothing more precious, right? There’s something magical and beautiful about the unaffected wonder three year olds constantly possess. They’re invincible, infallible, enchanting. Three year olds are awesome. 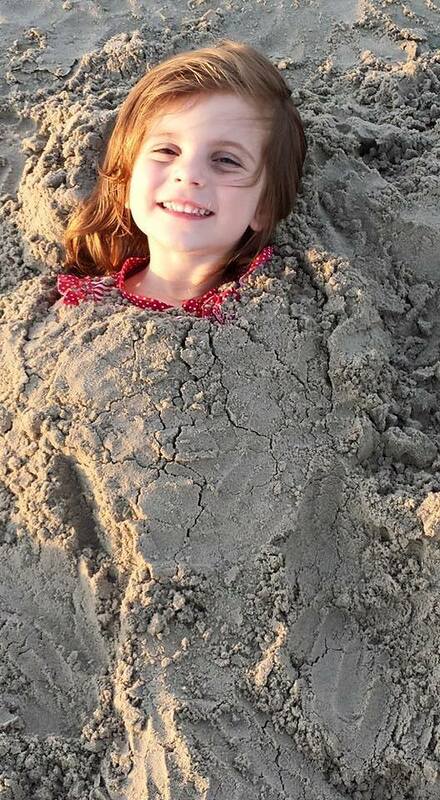 Last month, our family went to the beach, and over the week, I watched as G splashed in the waves, built wobbly sand castles, and took naps. She’s the typical three year old: wild, gregarious, and usually covered in something sticky. We kept her in her Puddle Jumper constantly, because we couldn’t stand the thought of anything happening to her. Our three year old was too precious to lose. 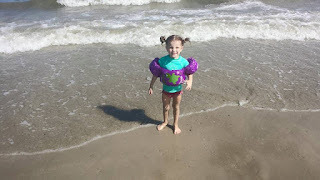 Last week, there was another three year old on a beach. His lifeless body washed ashore in Turkey on Wednesday, after his family’s escape raft capsized, and he, his mother, and his five year old brother all drowned. His father—the only survivor—fought to save them all. When asked about these moments, Aylan’s dad said “What was precious is gone.” Aylan was precious, too. 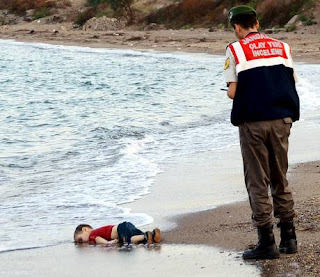 Aylan Kurdi was probably much like my G: smiley and sweet. His only disadvantage was the place of his birth. While my princess was born safely here in the United States, Aylan lived in war-torn, ISIS infested Syria. A place his family knew they had to escape. They weren’t running from poverty, or simply trying to make a better life for themselves. They were running for their lives. Unfortunately for Aylan, his brother Ghalib, and his mother Rehan, their lives tragically ended in the water. And Aylan’s little body, limp and almost sleeplike, washed up on the beach. A glaring reminder of the atrocity of the Syrian refugee crisis. Currently, eleven million refugees are fleeing Syria and seeking sanctuary in Europe. Some, like the Kurdi family, are braving the waters of the Mediterranean in hopes of a new life. As we watch things unfold here, in the comfort and security of the United States, we cry out to all of Europe to open their borders and let the refugees in. We pray there are no more Aylans, and that every refugee finds safety in the arms of Europe. We say they have enough for everyone, and nobody should be turned away. A stark contrast in regards to the way we feel about our own borders. I wonder sometimes if it will ever be my turn. If suddenly, I will find myself in a raft with my family praying to God we make it far from the United States. And what would I do? Where would we go? Would the government of another country open its borders to me? Would we be forced to live in filth until they could find room for us? There is no way of knowing what would happen if I was forced onto the waters with my children. Forced to another country. Forced into camps. Because we’re so far removed from this situation, it’s easy to play armchair quarterback. We can speculate because these refugees aren’t knocking on our doors. We can easily call for Europe to let eleven million people in, when we aren’t expected to do the same. Sometimes I wonder what I will have to answer for. Will I have to answer for Aylan? Will my ignorance or my selfishness be addressed when I stand before His throne? And who else will I have to answer for? What will I say when I’m asked about the thousands of ways I’ve ignored the Least? Or made fun of the Least? Or posted a meme mocking the Least? Aylan’s death should be a convicting moment for us all. We need to look at these pictures and let our own American Privilege fall away. We need to put ourselves in the water. In the dark. We need to picture our own families slipping away from us in the night as we fight to keep them alive. There will be more Aylans if we refuse to act. If we refuse to help. If we cling to our money, and slam our doors shut. If we refuse to help the Least. If every member of the American Church pledges to help these refugees, I’m convinced we can change the world. You may not be able to contribute much, but if you give some, and I give some, and she gives some, we can give much. There is no excuse here. No way to get out of this. No way to say “I have nothing to give.” We can all give something. Put yourself in the water. What would you hope others would do for you? 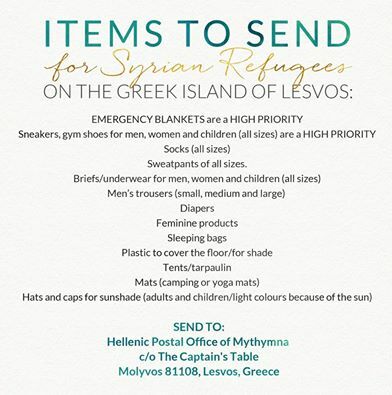 Here is a list of immediate needs and an address where you can send materials. 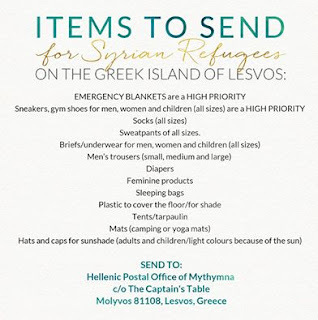 Scroll down Ann Voskamp's blog to find vetted websites where you can send monetary donations.